I just love the 7000 Bracelets for Hope project. It is a campaign aimed at raising awareness that there are "an estimated 7,000 different chronic, life-threatening and fatal rare diseases and disorders affecting approximately 30 million Americans and millions more globally." I know personally of at least two people, one who has already passed, and another who continues to suffer, from a rare diseases. I am proud to support this campaign. “There are millions of children and families battling rare diseases that do not have foundations to support their awareness efforts or the funding required to propel research forward to fuel new drug development,...The 7,000 Bracelets for Hope™ campaign is a way to let rare disease families know they are not forgotten." I've sent a few bracelets in the past, and this time I've teamed up with ZNet to create more! ZNet has sponsored the blue beads for this drive for designers to create bracelets to send into the Global Genes Project for use with the 7000 Bracelets for Hope campaign. I am just getting started. I can create a lot of bracelets with this stash!! 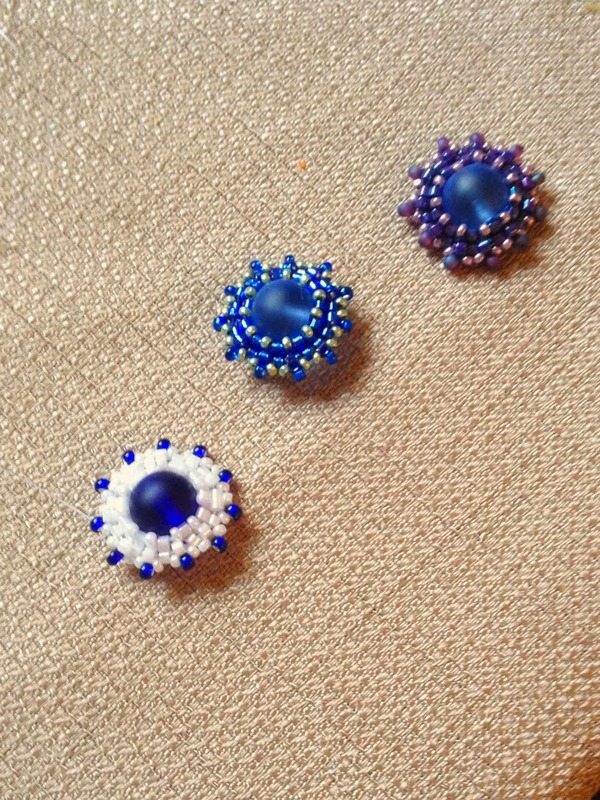 Oooooohhhhh, your work with the seed beads is so fabulous! 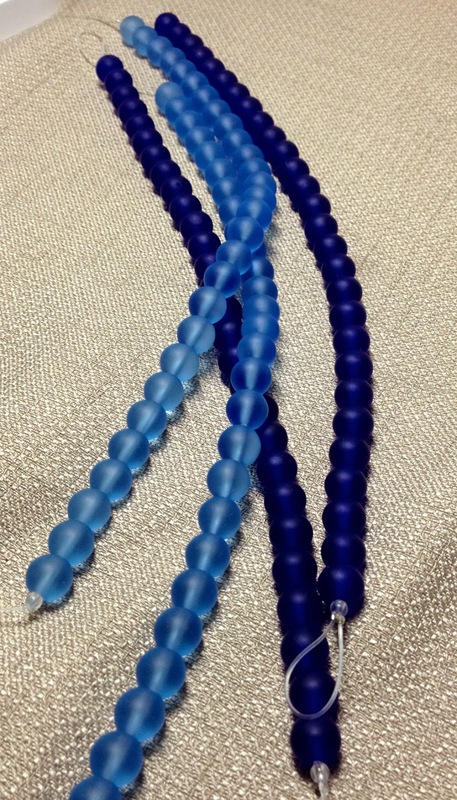 The matte of the sea glass with the shiny of the seed beads works so very well. Excellent job, Amy! I can't wait to see what else you have in store. So beautiful, love the blues and great cause. Love that bracelet and I also like the other three color schemes! Those are sooooo beautiful! You did a great job!! I love that bracelet. 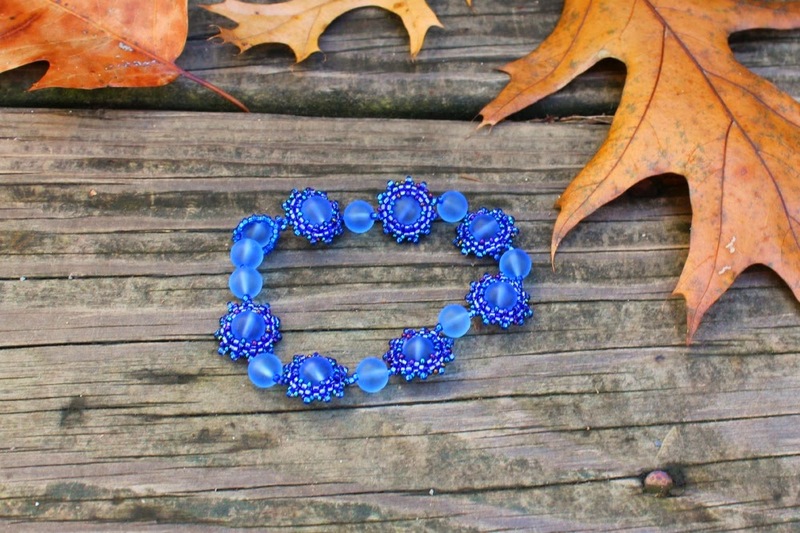 This is a beautiful bracelet, Amy~alternating the woven beads with the plain ones is a great look! It is bound to become a favorite to whoever receives it. How generous and kind of ZNet to sponsor this. Gorgeous color palette and I love the bracelet! Kristen's design is perfect and I love that your bracelet is going to a great cause! Rock on bead sister! Hugs! Those are lovely. I like the blue and yellow best. Wow! Your jewelries are really beautiful. And what I really like about them is that you made them for a great purpose. I guess your purpose of helping others made your jewelries really great.